Foosa Moon Creations: Flowers, Ribbons, and Strings Oh My!! Welcome to the First Digi Scrap Connect Blog Train. This blog train is comprised of 24 fabulous designers who have been participating in the Design Factor Challenge the last 5 weeks. For our 5th challenge, we were required to make an element pack using CU items. Since 1/2 of the items for all the kits would be coming from the Scrap Matters great challenge freebies, we were worried that we were going to have flowers, ribbons and strings coming out our ears with this challenge :). 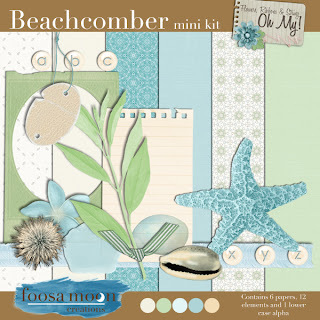 We decided to have fun with it and turn it into a great Blog Train by adding some fabulous papers as well. 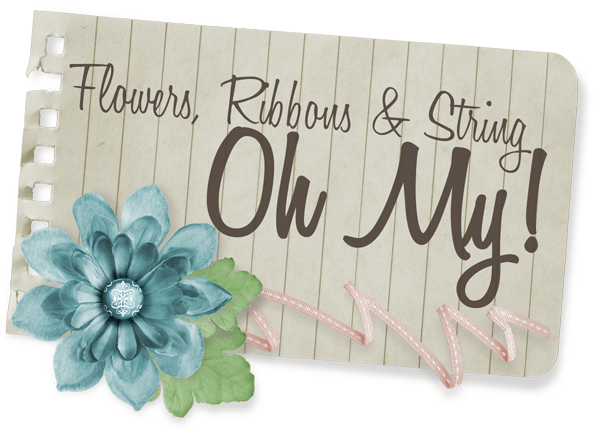 Flowers, Ribbons, and Strings Oh My!! the blog train was born. We hope you have fun collecting the great mini kits. If you get lost along the blog train, just return to Digi Scrap Connect to find the list of all participants. And now for my contribution! The colors made me think of the beach and the items that my daughter comes home with in her pockets when we have visited in the past. Because we had to use CU items, I couldn't scan in her actual treasures, but she has many shells and bits of beach glass tucked away on her desk in a jar her grandma gave her for that purpose. I have uploaded the papers and elements separately so that if you have already downloaded the elements, you don't have to take the time to download them again. Thanks for stopping by! As always, I'd love to see what you do with my designs. What a pretty kit. Love the starfish. Thanks! Thanks for the free mini. I love that starfish and your papers are just gorgeous. Thank you for your wonderful goodies! I apologize, I snagged last night and didn't show appreciation so I came back today to let you know that your generosity is appreciated! Thank you much!